Death's Gambit Review: A fun game if you can remember it – AiPT! Can Death’s Gambit stand out in a glutted field? Death’s Gambit is a fast paced game that does so much right. It will keep the gamer on their toes and does not allow room for much error. The Metroidvania style gameplay is an attention grabber. Unfortunately, the game does nothing memorable and is quickly forgotten once you put the controller down. 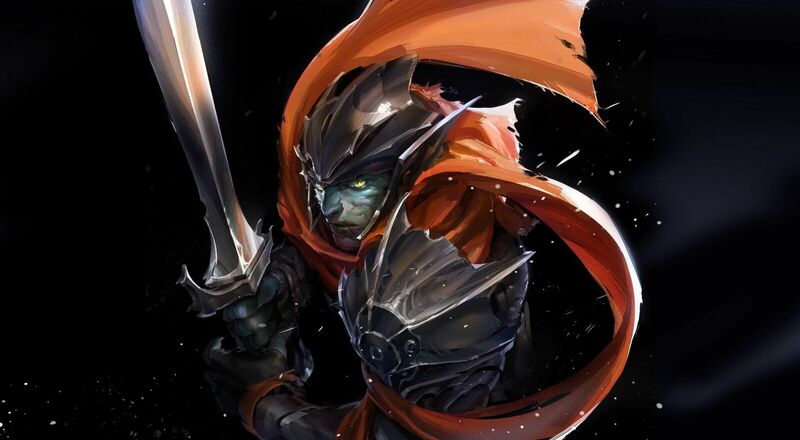 Death’s Gambit is an action role playing game that unabashedly takes its influences from the Dark Souls series. There is nothing wrong with that inherently, as many great games took cues from their predecessors. The question is whether the small game does anything to stand out in what is fast becoming a crowded field. Things get off to a shaky start. The font is white against a black background which in theory should be easy to see. The problem becomes when you make a choice. It is almost impossible to tell whether you are starting a new game or loading a previous one. Thankfully, there are only two choices here so this can be chalked up to more of a quality of life issue than one that would seriously impact the game. Unfortunately, beginning a new game leads to a character selection screen where you can pick from seven characters ranging from Soldier to the awesomely named Acolyte of Death. A recent patch fixed the title screen entirely but while the character screen is better, the blinking titles now give a “now you see me, now you don’t” effect. Souls inspired games with a 2D twist are a burgeoning genre and small issues like these can permanently relegate a game to “not buy” status. Death’s Gambit is beautiful to look at. The graphics are inspired by console generations of the past and fit the Gothic tone even more than the beautiful Bloodborne. The opening title screen shows a building on fire as blazing embers are wind strewn across the screen. What is even more impressive are the animals in the background and the arrows that litter the area. Again, little things can make a big difference. The levels themselves are sweeping affairs that are constantly changing and never boring. From water filled caves to lush forests, Death’s Gambit beautifully shows off its world. Since the game is a non linear Metroidvania affair, exploring the vast world never feels forced. The music is the true highlight of the game. The opening title screen is a sweeping number that immediately takes the gamer to a faraway land. The game conjures up the grandiose stories of SNES era Final Fantasy games. This continues throughout the game as each level and every boss battle is punctuated by a powerful score. The gameplay never lets up and actually demands an audacious style. At the start of each level, Death’s Gambit will scroll across the entire map to give players an idea as what they are getting into. There is no respite from that moment on as it is a continual battle of life and death. Battles are quick and your character is encouraged to continue forward as enemies will respawn quickly. Boss battles are appropriately large and require lots of skill and dying. There is where the biggest problem lies. There is an option to play with permadeath, but if not chosen, dying will take you back to the last death shrine you rested at. This essentially allows you to hack away at the boss until you defeat it. Obviously, this requires no skill and it can be argued that you will not garner the same satisfaction, but it is also a viable strategy. For a game that requires so much skill during the level, this is unforgivable at the end of one. Death’s Gambit is action packed and constantly pushes the player forward while never allowing them to take a breath. The game is gorgeous with a beautiful soundtrack, but content to not stand out. Death's Gambit has so much to praise. Great gameplay, perfect music, exciting fights. It is just so unmemorable.